Dive Central Gili is a PADI 5* Dive Resort, offering PADI Courses and Fun Dives in the Gili Islands for beginners and experienced divers alike. Oooh look - a crab! Macro Diving or sometimes called Muck Diving is a big part of diving and is basically the same thing, which is diving whilst taking it very slow and looking for small critters. The difference between the two is that muck diving is macro diving but with a sandy and often silky bottom. In the case of muck diving with a silky bottom, maintaining good buoyancy is a must! If you don’t have your buoyancy under control you will stir up silk and sand so the visibility will drastically drop, making it hard to complete the dive. So why am I talking about this? The answer is simple, macro diving has become a very big part of the diving community and it’s growing. Another reason is that divers take great pride in finding these small but marvelous creatures, which is why you also might see a lot of divers who are interested in macro with expensive cameras and camera housings to capture the moment on film/picture. You might also wonder why it’s called macro and not micro diving. Once again the answer is very simple - micro as you know means small and macro by definition means large-scale. However when it comes to diving it has to do with the fact that it is photography of the small critters we are aiming for in most circumstances, in other words macro photography means large scale magnification of the small critter you’ve just taken a photo of. And that’s why you most commonly see divers on a macro dive with expensive and massive cameras with large lenses to be able to get the best enhanced picture of that specific creature. Another reason I decided to talk about this is because macro diving around the Gilis is very good, especially our own house reef “Biorocks”. Most dive instructors that live and work on the island have a passion for macro diving, especially the people that work here at Dive Central Gili. Almost every day our staff goes out from shore to do a fun dive in order to experience what micro life hides beneath the surface. At the moment we know exactly where to find pygmy seahorses, ornate ghost pipefish, stargazer, frogfish and more incredible marine life such as the flamboyant cuttlefish (that we named animal of the month in march) and the blue ringed octopus. Dive Central Gili also travel to two different macro dive sites that is located on the north side of Lombok, they are called Teluk Nara and Mentigi Bay (also called Seahorse bay). Those two different dive sites are proper macro/muck diving sites (only located 20-25 minutes away) and if you are interested in macro diving I could not recommend it more since it is the best spot around the Gilis for macro diving. If you would be interested to go there whilst you are here visiting just pop in and ask for more information. Exactly what kind of macro marine life do we have here around the Gilis you might wonder? And here are few names of the creatures you might find here in the Gilis: A large variety of Mantis shrimps, different kinds of Pipefishes including the Ornate and Robust ghost pipefish, frogfish, a very large variety of shrimps and crabs and if you’re lucky you might see the boxer crab or the well sought harlequin shrimp, the famous seahorses and the Pygmy seahorses, normal Scorpionfishes, leaf scorpionfishes and even the rare Rhinopia which has found itself a home on our dive site called “Turtle Heaven”. 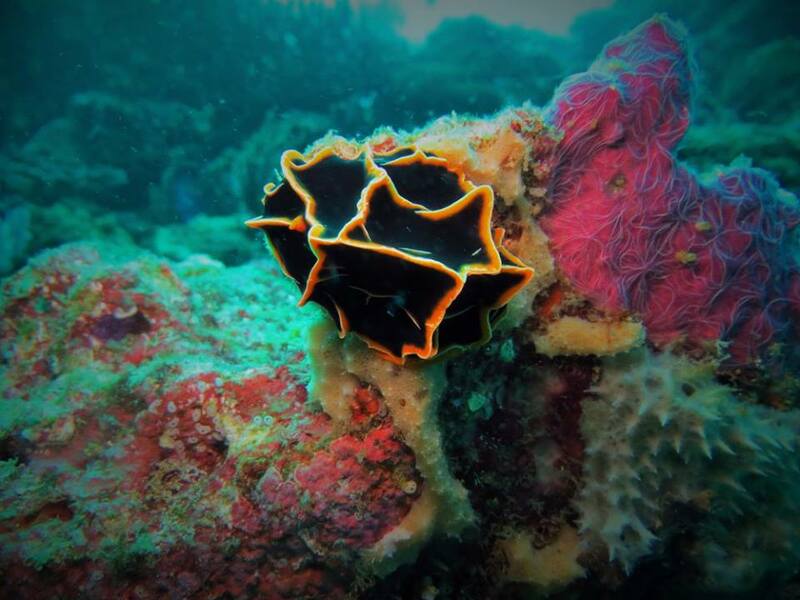 These are just a small portion of what you might find when you come and dive with us a Dive Central Gili. Let's clean up Gili T! Let's clean up Gili Trawangan! Thank you for your interest in Dive Central Gili. You will receive a response to your diving enquiry within 24hrs from info@divecentralgili.com. If you require help booking your transfers between Bali, Lombok and the Gili’s, please e-mail us on pesonaresort-transfers@hotmail.com and we will try our best to help you.